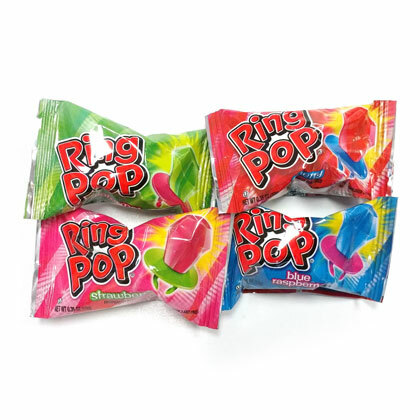 Fun plastic ring with a large candy jewel. Comes in cherry, watermelon, blue raspberry and strawberry assorted mix. .35 oz. ring. 10 ring bag.